Create more space in your home with Archway Joinery, we provide high quality conservatory installations and create more living space within your home. The addition of a bespoke conservatory is an exciting opportunity to be creative with design and break the tradition of other conventional rooms in your home, offering a completely unique atmosphere with unlimited uses. Enjoy a natural hardwood conservatory with Archway Joinery for older properties, adding a wooden conservatory can add charm and character to fit perfectly within your home. We use Sapele hardwood for a quality finish each time, the wood we use is a natural resource from sustainable forests and is resistant to rot and moisture. Nothing beats the stunning beauty of natural wood, and a timber conservatory makes a stunning addition to any style of property. Every Archway wooden conservatory is created individually, and your designer will guide you through your options, from the type of windows and doors to your own finishing touches. We build everything with your comfort zone and security in mind using your choice of energy efficient double or triple glazing to stop draughts and reduce outside noise, meaning you can enjoy your wooden conservatory in comfort all year round. By enhancing the appearance of your home by using environmentally friendly products, choosing bespoke joinery can make an amazing difference to your home with many reasons and benefits for choosing bespoke joinery. You may be worried that you already don’t have much space for a conservatory and that installing one will take up extra space. The smallest of areas may be utilised to create a beautiful and unique extension, which will provide you with much needed additional space. A conservatory of more modest proportions can be a treasured and valuable room.… somewhere that will become the ‘heart’ of your home and where you will want to spend time. In towns and cities, where many houses and flats have living accommodation and gardens that are small, every square metre is an asset that you can use to improve both the quality of your life and the value of your property. Adding a conservatory will give you precious extra living accommodation or even room for a home office. We have designed and built many glazed structures for city properties – extensions to basement flats, additions to first and second floor apartments and even on rooftops. Each one brings the valuable bonus of extra space as well as allowing light to flood through sometimes dark interiors. Natural Light – Letting more light into your property is never a bad thing. Not only can sunlight have a wonderful effect on your health, it is also free of charge and can put a serious dent in your energy bills. Enjoy your Garden – A conservatory will allow you to sit and admire your garden all year round, even as it gets cold and wet. To get as much use out of it as possible, it can be a good idea to include insulation during the installation, or to have a heating engineer install a radiator. Cheaper than Moving – The cost of building a good quality conservatory usually ranges between £10k and £20k. With the current state of the property market, this can be much cheaper than moving to a new property for more space. Smooth Transition – One of the main stylistic advantages of conservatories is that they form a perfect transition between a new property for more space. Choice – There are actually quite a few types of conservatories, from tiny lean-to models to fully fledged orangeries. Be sure to spend some time looking at your different options. If you are in need of a unique and charming hardwood conservatory in Bedford or the surrounding areas, then be sure to get in touch with Archway Joinery. 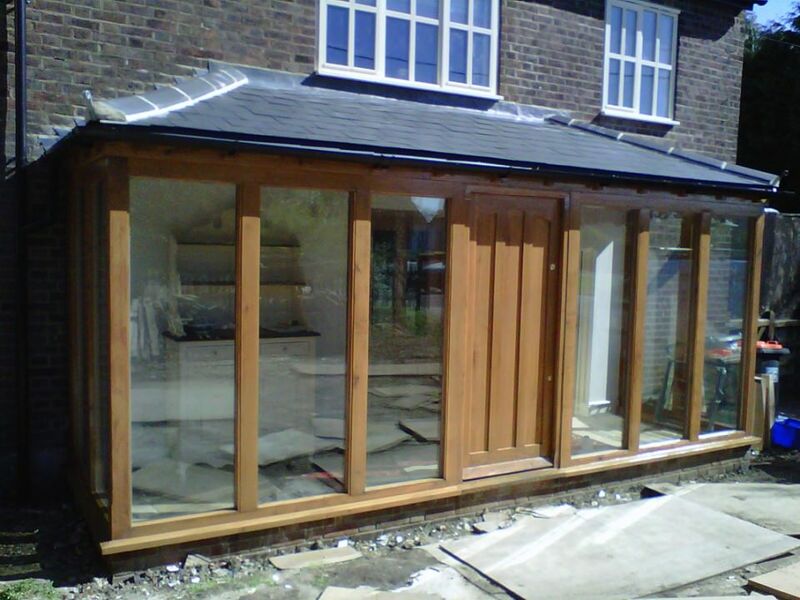 No matter what your unique wooden conservatory needs might be, we have all of your needs covered. 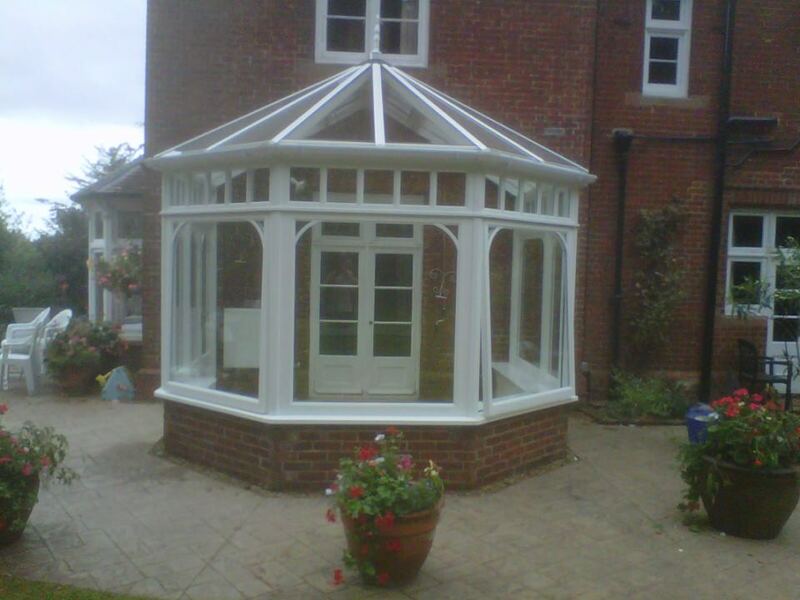 For professional conservatory builds in Bedford be sure to get in touch with Archway Joinery today.